Most of the pictures I post here are sunny or if they are cloudy then at least it’s dry. But it does at times rain on Islay, so here’s a picture from just such weather. 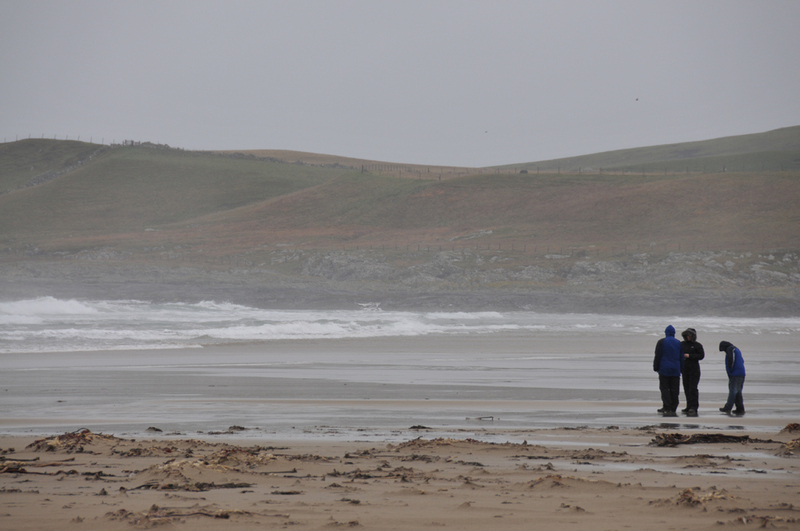 Some people are still visiting the beach in Machir Bay even in the rain. This entry was posted in Beaches, Cloudy Weather, Landscape, Repost and tagged Islay, Kilchoman, Machir Bay, Rhinns of Islay by Armin Grewe. Bookmark the permalink. I love the sea when it rains, when its cold and stormy.Because only then one gets the feeling of mother nature and how tiny we are.